daily timewaster: Where's Harambe? Shouldn't Harambe be included here? Where's Harambe? Shouldn't Harambe be included here? Harambe lives in the hearts of his people. 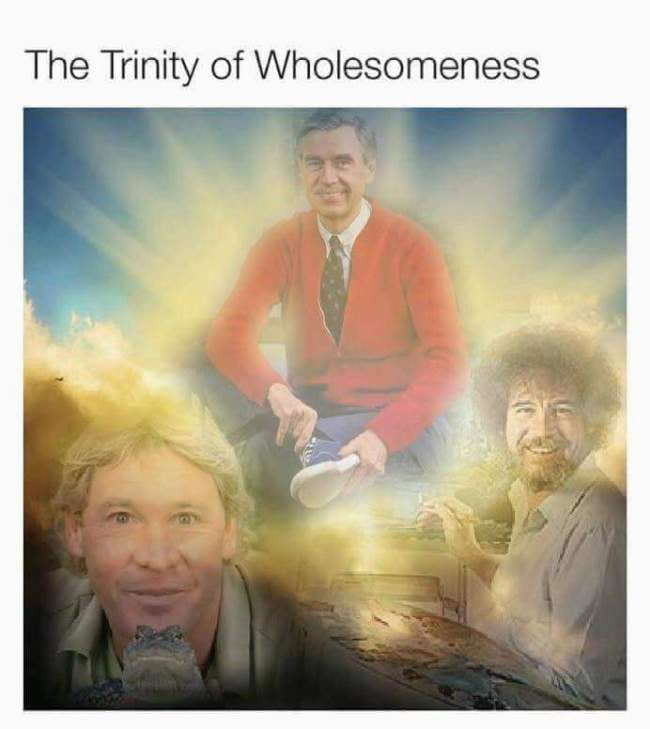 Grew up with Mr. Rogers, enjoyed Bob Ross and his optimistic outlook on life (Retired Air Force M.Sgt), and couldn't get enough of Mr. Irwin and his reverence for life on our planet. Is that Pepe the frog, peeking out below? He's in good company! Pursuant to Aggie's request.... Feast! Wow. A-1 wife material right there. Nice. The kid will turn out alright.